Welcome to the Wright City Police Department! The Wright City Police Department serves a population of approximately 4,000 people including residents and visitors to the city. WCPD provides 24-hour police protection with dispatch services from the Warren County Joint Communications Center. 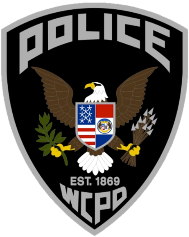 WCPD is comprised of a Criminal Investigation Division, Patrol Division, K-9 Unit, School Resource Officer Division and Municipal Court Security Division. The agency is currently staffed by 19 commissioned officers with one civilian employee. To contact the department, call (636) 745-3541 or in emergency situations, dial 911.